The third agriculture-related talk at the ASLA conference focused on rural landscapes and conservation (for a recap of the urban agriculture talks, see Part I). The talk was led by Thomas Woltz, of Byrd Nelson Woltz, and included one of the firm's designers, Breck Gastinger and James Gibbs, a biologist with SUNY College of Environmental Science and Forestry. The speakers emphasized the environmental impact that can be made when working at the scale of large estates; traditional agriculture as a major polluter, and the importance of working with biologists and ecologists to ensure that our interventions are based on sound assumptions. The collaboration between the speakers on a 270 acre farm-estate in Virginia (not shown) formed a case study in creating a 'network of metrics', working with SUNY biology students who collected information on air, soil and water temperatures, and monitored for species including salamander, deer, bees, bats and birds. During the monitoring period, the landscape architects designed the physical benchmarking objects, creating a grid of monitoring posts that communicate to the layperson through color coding their purpose (blue, for example, indicates groundwater). 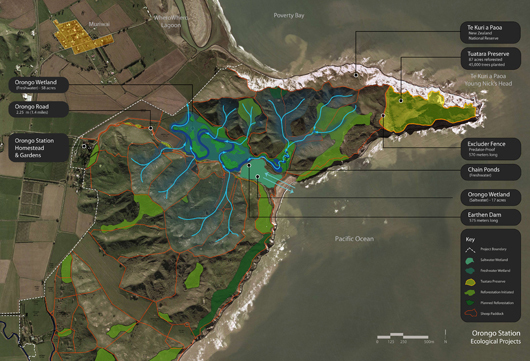 The monitoring results informed the final masterplan that combines best-practice agriculture at a small scale with restoration of sensitive landscape areas. The success of the project has led neighboring property owners to engage the firm. 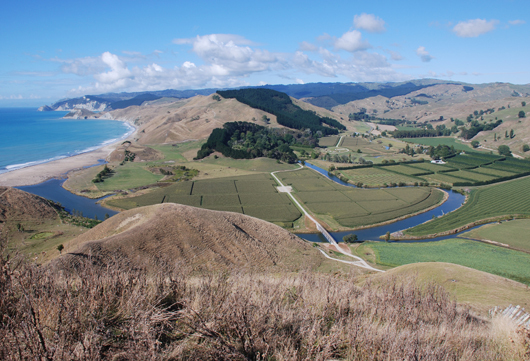 ﻿The firms' work at Nicks Head Station in New Zealand (which won a 2010 Honor Award from the ASLA) was also shown. 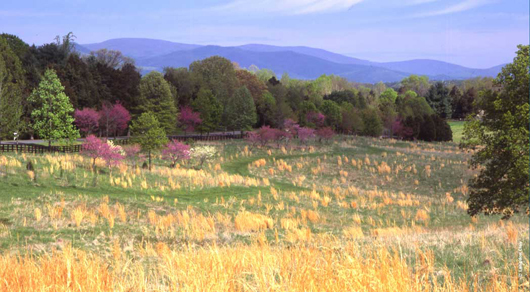 The master plan for this estate explored restoration of cultural, agricultural and native landscapes, including fencing the promontory to create a preserve for native species, and reforestation of hills previously dedicated to cattle grazing. Again their work focused on removing land from agriculture that "should have never been farmed", and relocating orchards to more suitable lands. Other projects mentioned included a plan for Monticello (Thomas Jefferson's estate) that would restore the agricultural context and tell the 'agrarian narrative' of the land and Medlock Ames, a winery in Healdsburg, whose tasting room gardens I wrote about in an earlier post. 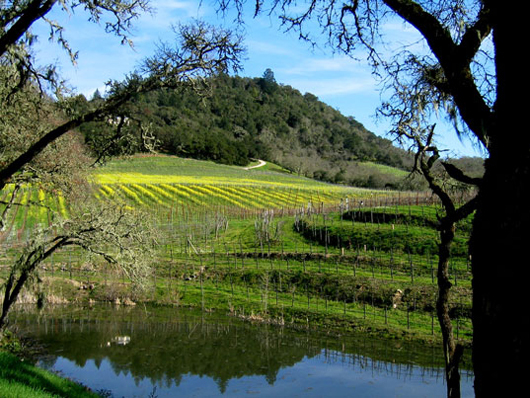 The firm is now embarking on a conservation ecology study of the vineyards and adjacent woodlands for the winery. 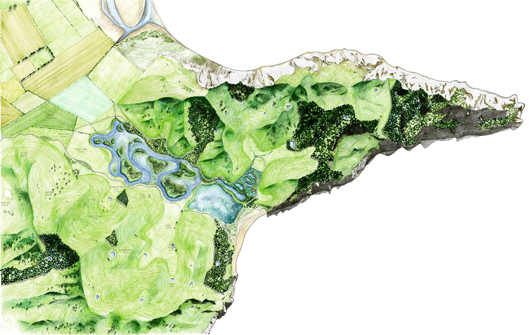 James Gibbs focused on the nature of collaborating with scientists, identifying the strength of conservation biologists as their ability to "drill down", to focus on specifics - which points to the beauty of working with landscape architects who can balance the specifics in a holistic approach. He also described the need to structure the collaboration with scientists so they get credit for their work, which is of paramount importance in the scientific fields. Finally, he shared his optimism for the "private lands conservation" approach, which moves faster and can impact more land than the traditional focus on public lands. The session was very inspiring in its advocacy not for agriculture alone, but rather for agrarian lands within a larger context, including social and environmental aspects. Landscape architects are famously lauded as generalists, and this is the approach I hope the field moves towards, a deeper understanding of food landscapes beyond the food itself to encompass the whole.